Water Resource Plans demonstrate how NSW will meet the Basin Plan requirements for each water source, and will comprise a package of documents including a Water Sharing Plan, Water Quality Management Plan, Risk Assessment and other supporting documents. The Water Sharing Plans contain the rules for sharing of the water resource between different types of water user, and govern how water access licences can be utilised. The NSW Government is currently preparing Water Resource Plans for both the Lachlan Surface Water and the Lachlan Alluvial Groundwater. Water charges for regulated river, unregulated and groundwater licences are determined by the Independent Pricing and Regulatory Tribunal IPART. The 2017/18 charges can be seen by clicking on the link below. 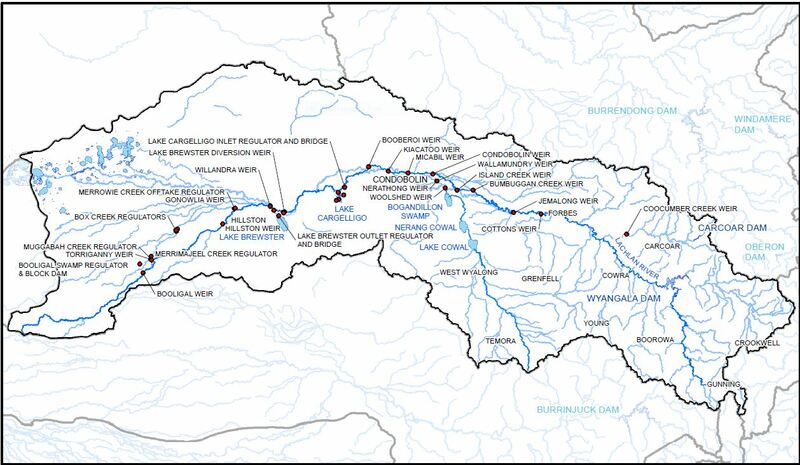 The Basin Plan was finalised in 2012 and sets new Sustainable Diversion Limits (SDLs) for all water resources in the Murray Darling Basin. For the Lachlan surface water this was a reduction of 48 GL of usage compared to the 305 GL of average annual usage allowed under the Water Sharing Plans. LVW is concerned that the MDBA failed to model the minimum volume of water required to meet environmental water needs and simply modelled the volume of water that had already been recovered through the hasty, untargeted buyback from 2008 – 2010. The Customer Advisory Group is a forum for communication and consultation between WaterNSW and its customers on operational issues including water delivery, customer service requirements, asset management priorities and water pricing strategies.